first of all i want to say Hi to everyone and I wanna thank you guys in advance for any answers you can give me. I have recently purchased a 30 acre plot with the intention to start a small city farm in East africa . our climate is similar to Southern california with humidity usually between 55-60 . The soil is however extremely rocky but trucking in soil is very cheap. I was wondering if it was worth it to do a raised bed farming or is 30 acres simply too large . I hear a lot of conflicting answers city farmers tell me its doable . rural farmers swear by their exprience thats raised bed gardening (using waist high beds) is only viable up to 2 hectares. I have more questions than answers and I have no experience with any kind of space that can be called "acreage". But I was wondering if the work is going to be done with heavy earth moving machines and tractors or ... It boggles the mind but ... By human labor? At first I was envisioning raised wide rows of unsupported soil built up with tractors and disks -- probably no higher than knee-high -- but then I realized the acreage involved is WAY bigger... And then you mentioned waist high beds -- soil supported and held back with ??? ... Rock walls? Woven stakes/sticks and canes? My small mind just boggles at the expense to build raised beds waist high on a 30 acre plot. Then to recoup the expense by selling or using whatever you would be growing would be extremely difficult. The break even point would be many, many years in the future I would guess. Unless you have a lot of money and need a way to get rid of it, perhaps trucking in a lot of soil (and 30 acres of soil a half meter deep is A LOT OF SOIL) and farming it without the raised beds portion of your plan would make more sense. Please keep us advised on your project, send photos too if you proceed. Like I say, my small mind cannot imagine 30 acres of raised bed gardening/farming. Good luck. It depends on the kind of farming you are doing. I work at a farm that grows hydroponic and aquaponic vegetables. It is a 17 acre farm and it was originally a landscape company so most of the farm is landscape plants. One acre is aquaponic raised beds. In fact the beds are being raised now, because we asked them to since it is hard on our backs to work on knee high beds. 8 new greenhouses were built in the last year to expand hydroponic vegetable production. The farm also sells the tilapia and catfish that provide the nutrients to the aquaponic biofilters. Tilapia and catfish were chosen because they tolerate crowding and marginal water conditions. The guys who take care of the fish have to monitor pH and water quality every day. They have to keep the water pH at a level that keeps the fish alive and is also good for the plants. The biofilters remove the fish waste and reduce the nitrate levels in the fish tanks. The upside is that it is a recycling system so water goes from fish tanks to biofilters or from the hydroponic storage tank to the rails. Hydroponic houses are not organic since they use commercial hydroponic fertilizers which are synthetic. I asked them about organic hydroponic systems. My boss said they do have organic fertilizers fo hydro but they are not very good. Unless the pumps, or drains fail, the plants get a constant supply of nutrient water which makes them grow very fast. 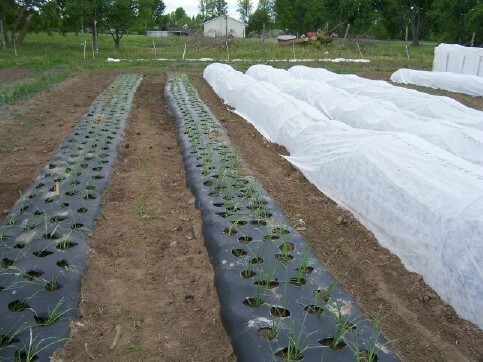 Short crops like lettuce can be harvested in as little as three weeks after they are transplanted to the beds. Water is expensive and by being able to recycle the water and use it for the plants as well as for the fish, it makes the most of the resource. However, with fish involved, you will be limited to what you can do for pest control. You need to use only approved pesticides that are fish safe and use netting, greenhouses and maintain sanitation because once a hothouse gets a pest invasion, they have a party since predators can't get to them inside the greenhouse unless you release them in there. Predators cannot survive on your crops unless you also plant nectar and host plants to support the predator population. If a house gets a really bad infestation, everything needs to be cleared out and the house sanitized before you can plant again. Labor costs are high since with rail systems, raised biofilters, and raised beds you can't really use machines. Everything has to be hand planted, weeded, harvested. The fish tanks have to be drained and cleaned. My boss doesn't like to waste any water so the farm has a small orchard of fruit trees and bananas. Whatever is drained from the fish tanks is used to water the orchard. The fruit from the orchard is sold when they come in season. There is not enough water for the entire farm and most of the landscape plants are on drip so some potable water is used for that. Biofilters clog over time so about every 18 months the cinders we use have to be replaced. The farm has a few goats to eat a lot of the lettuce waste, so less needs to be thrown away. We don't sell the goats but you could. Goats have to be separated from the field operations and barriers but in place to prevent contamination and run off. so you need to be careful where they are placed. Goats also like to roam and will take advantage of any holes in the fences. A double fence is a good idea with reinforcement on the bottom of the fence so they can't get under it. the farm also has solar panels to cut the power costs of running pumps and fans. The fish and hydro solution We have tanks that are buried to keep them cooler, and we even have a windmill to generate power but a wind turbine is probably a better investment especially if you have enough wind in your location and you have a power company willing to buy the excess energy. Diversify your crops. This is the one thing my boss does not get 80% of the crops grown on the farm are cool weather crops that take a beating in summer heat. In last year's record heat, 90% of the lettuce bolted in the summer even with shading, and was only good for goat food. It was a huge economic loss. You need to have a system that is adaptable to grow a variety of crops in all kinds of weather and the ability to switch crops with the season if you have to. Try thinking instead of how you can use the land to its highest and best use. What kinds of crops you are planning to grow and can market? How you can cut cost by generating some of the power you need, reduce, recycle and reuse. Diversify the operations so you have multiple products so all your eggs are not in the same basket and try to reuse whatever the farm produces as many times as possible. You can do part of the farm in raised beds, some orchard and some of the farm you may be able to add fill to do conventional farming. Why do you want waist high beds? I don't know your situation, circumstances at all, but the only reason I can think of is that people sometimes make keyhole garden beds that high and keyhole gardens were originally an African design. But I think those keyhole gardens that are that tall are not soil all the way. They are essentially hugelkulture beds with wood at the bottom and soil just on maybe the top half. They are keyhole gardens because the round bed is built around a compost pile which helps feed the garden. Thirty acres is a medium sized farm. Most of us are gardeners without farming experience. Can you say any more about what crops you want to be growing on them and what you will be doing with them? Selling to a farmers' market? Personally I agree with what has been said - the only way to have waist high beds is to have them enclosed with some kind of border, box, support. That makes it extremely expensive in materials and labor to build them, especially on such large scale. I am in the process of building boxes to enclose a total of about 350 sq ft of raised bed gardens and personally I think that is pretty close to the limit of what is practical. I will have some other garden beds/patches that will not be boxed in. You can use machinery to push the dirt from the walking row to the raised row. That way you have piled all your good topsoil to where you want it, instead of wasting half of it just to walk on. The walking paths will be less muddy/weedy because they don't have all that topsoil and your raised rows will be loose and fluffy. It will be more like a foot high than waist high, but that is quite sufficient for productive gardens. The wide row idea is that you don't plant a single row of crop, you fill in the whole wide row. Very efficient. Working on a farm I can tell you, it is easier to work with the waist high beds than on the ground. a lot less bending, but you cannot use machinery. if you have raised beds on the ground you don't have to have borders, you can just mound them up. You can use some machinery in those beds and if you are not building boxes then there is no cost for that. There will be costs involved in grading, removing the larger rocks and stones and bringing in the fill and mulch to create the beds. It really depends on what that land was used for before and what you are trying to grow there. You would need mulch and unless you have a source for it, even that would add up for 30 acres. If you dig the top 4-6" of top soil out of the walking paths and pile it on the raised beds, you don't need fill. But you are right about just mounding it. Any form of boxing/ edging just seems wildly impractical to me on the scale of 30 acres. A picture is worth 1000 words wish I could see your 30 acres. I tried raised bed I think they are a waste of time and waste of money. Some people think raised beds are the greatest thing since the invention of the wheel. Every one has their own way of gardening that works for them. Several places in USA farmers have lots of rock they remove rock to expose soil. I wish I had a neighbor that does raised bed gardening I would love to see how well his garden does compared to mine. 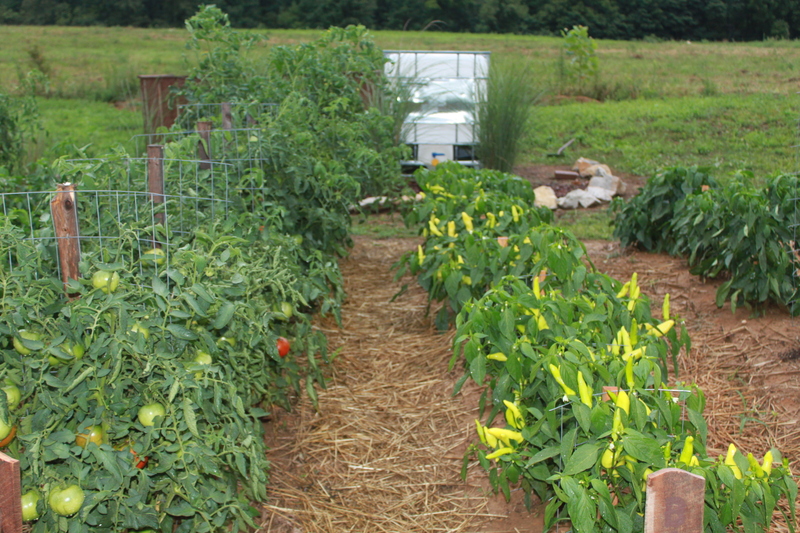 Using raised beds for that many acres might not be the most efficient use of land. Raised beds can work very well in the right circumstances, but not everywhere. In my part of the world (Southern California) we are prone to drought, so for me raised beds with hard sides were not ideal. I do however get better results in soft-sided beds as opposed to traditional rows. I found this series of videos very interesting about setting up a market garden. The farmer grows in raised beds, but only 1.5 acres, and he does quite well. The videos explain how. What Tree Seed is Viable for at Least 100 Years? Viable Option for Building Grow lights?